Blockages in drains at your workplace can spell big trouble for your tenants who are sure to complain about shoddy service. Call on the experts at Beaverton Plumbing, located near Portland, OR, to take care of any commercial drain cleaning needs your building has. Whether you’re the sole tenant or other tenants are relying on you for clean drains, buildings facing a commercial drain cleaning emergency need help pronto, and we are up to the task. How do you know if you need someone out to do drain cleaning? It’s easy to tell…you or a tenant will be faced with lazy draining, or, when the problem becomes too big, standing water. If your building houses a restaurant, brewery, gym, hotel or other facility that relies on water and has lots of drains – and customers of their own – drain cleaning is a crucial factor in keeping the business running and your tenants satisfied. Don’t try to do drain cleaning yourself. Even if you are pretty handy at home, do it yourself commercial drain cleaning can end in disaster, causing a shutdown of your whole building and related businesses. 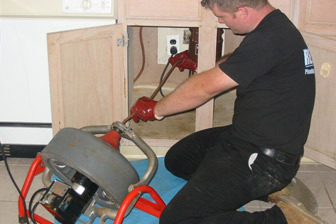 Rely on experts at Beaverton Plumbing to make your problems go down the drain as we clear up any clogs or blockages to make sure your drains are free flowing once again.